When Nick Beron and Hannah Rampe decide to move to the tiny upstate town of Hibernia, New York, they aren’t running away, exactly, but they need a change. Their careers have flatlined, the city is exhausting, and they’ve reached a relationship stalemate. Hannah takes a job as live-in director of the Wright Historic House, a museum dedicated to an obscure nineteenth century philosopher, and she and Nick move into their new home—the town’s remoteness, the speed with which she is offered the job, and the lack of museum visitors barely a blip in their considerations. At first life in this old, creaky house feels cozy—they speak in Masterpiece Theater accents, they take bottles of wine to the swimming hole. But as summer turns to fall Hannah begins to have trouble sleeping and she hears whispers in the night. One morning Nick wakes up to find Hannah gone. Now, in his frantic search for her he will discover the hidden legacy of Wright House: a man driven wild with grief, and a spirit aching for home. 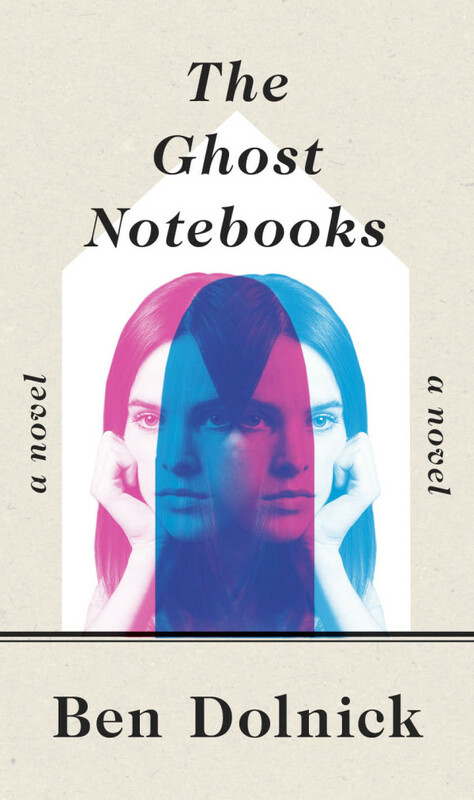 "For all its curiosity about things that go bump in the night, the most notable features in The Ghost Notebooks are its qualities of light. 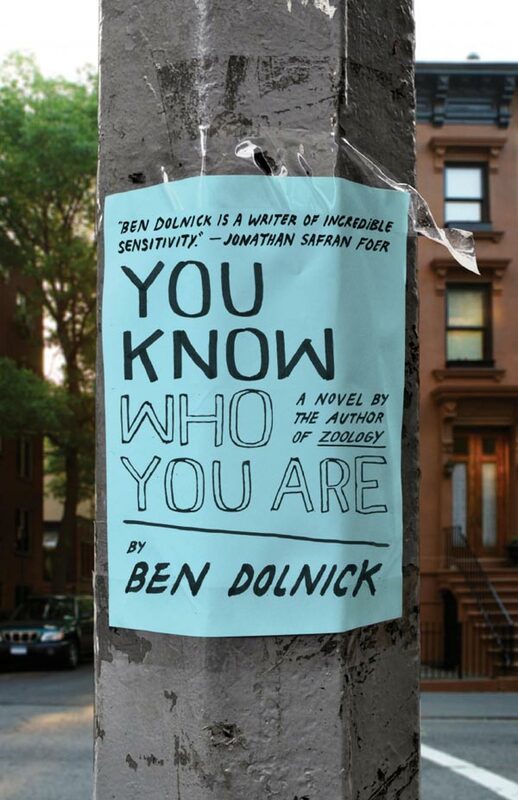 Ben Dolnick’s charm, lucidity, and insight will come as no surprise to his growing group of fans. Count me one of them." A stunning novel of friendship, guilt, and madness: two friends, torn apart by a terrible secret, and the dark adventure that neither of them could have ever conceived. It’s been ten years since the “incident,” and Adam has long since decided he’s better off without his former best friend, Thomas. Adam is working as a tutor, sleeping with the mother of a student, spending lonely nights looking up his ex-girlfriend on Facebook, and pretending that he has some more meaningful plan for an adult life. But when he receives an email from Thomas’s mother begging for his help, he finds himself drawn back into his old friend’s world, and into the past he’s tried so desperately to forget. 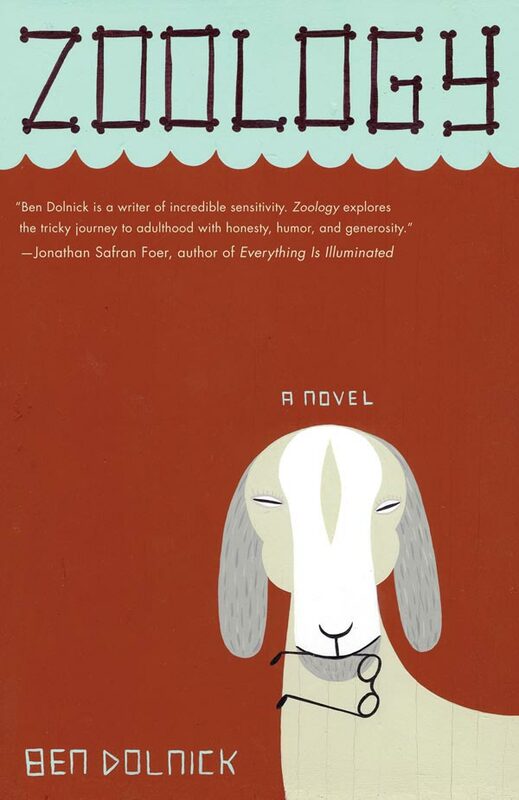 As Adam embarks upon a magnificently strange and unlikely journey, Ben Dolnick unspools a tale of spiritual reckoning, of search and escape, of longing and reaching for redemption—a tale of near hallucinatory power. "...[a] deeply felt and elegantly expressed tale. Adam’s time on the sub-continent takes on a level of impressionistic weirdness that brings Murakami–The Wind Up Bird Chronicles in particular–to mind. It’s surprisingly resonant, and yes, sensitive, generous and warmhearted." "I had to get to the end and all I could think was, 'Our Father who art in Heaven, please don’t let me die before page 239.' I worried about a heart attack, a blood vessel bursting, an airplane engine randomly falling through the sky and crashing down onto the spot where I sat holding At the Bottom of Everything in my hands. As you can see, I’m still here. Thanks to two cups of coffee and a series of tooth-rattling sentences, I made it through to the satisfying end. And I am a better man, a richer reader, for doing so." 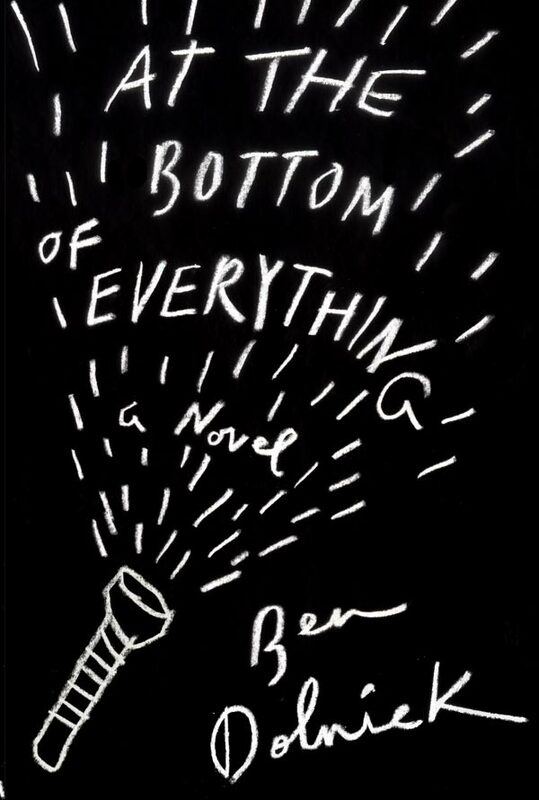 "Without being the least bit derivative, “At the Bottom of Everything” is slightly reminiscent of Donna Tartt’s cult classic of 20 years ago, “The Secret History”... it is Adam’s quietly devastating struggles with his own morality and anxiety that steal the book again and again, and mark it as a first-rate literary work." A gorgeous novel of family life, You Know Who You Are is the story of the Vine family, Arthur, Alice, and their three children. The eldest, Will, is well-mannered and academically driven. The youngest, Cara, is a sweet little charmer. Jacob, the middle child, is less sure of who he is. He’s funny, he’s impulsive, and he is often held hostage by his urges to make chaos. But when their mother, Alice, falls ill, Jacob begins to experiment–guiltily, nervously–with the special freedoms conferred on the motherless. Following the Vines as Jacob moves through high school, college, and beyond, You Know Who You Are is a wise, funny, elegiac novel of moving on, pulling together, and answering that most complicated of questions: who will you decide to become? 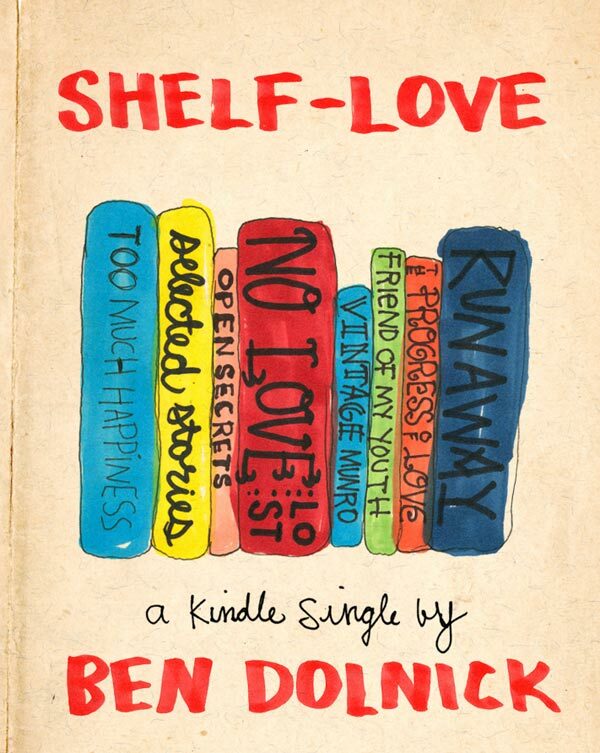 In “Shelf-Love,” Ben Dolnick recounts his feverish, hilarious, occasionally mortifying love for the writing of Alice Munro; an essay for everyone who has ever truly loved a book, and for anyone who has ever thought about writing one.